Senate President Abubakar Bukola Saraki says the nation has lost a Pre-eminent Mother who truly distinguished herself among the contemporaries as she served the God and humanity to the end. 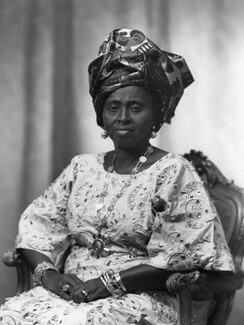 In a condolence message to the Awolowo family, Senate President Saraki expressed sadness over her demise as be looked forward to visit her and be part of centenary birthday celebration in Ikenne, Ogun State, as the last women standing among the Wives who contributed in laying the foundation of Nigerian nation. He therefore on behalf of his family and the Senate commiserated with the Awolowo family, the government, people of Ogun State and the entire nation on the death of this great woman.